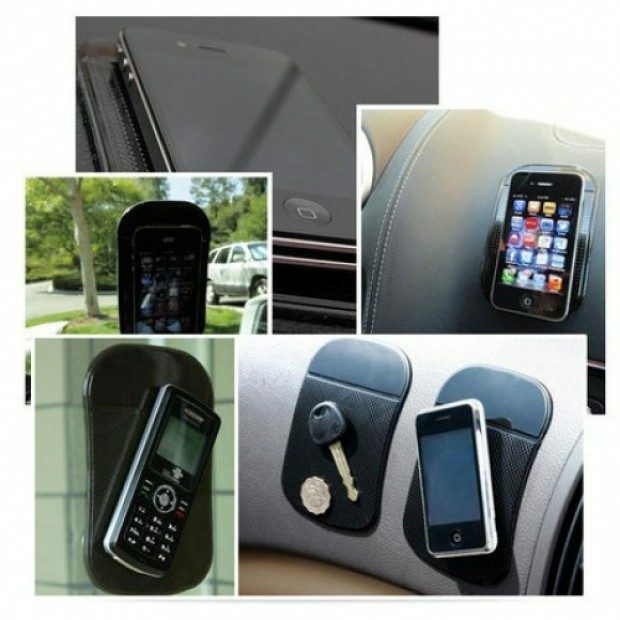 Strong & Sticky Anti-Slip Dash Pad Only $3.99 Plus FREE Shipping! You are here: Home / Great Deals / Strong & Sticky Anti-Slip Dash Pad Only $3.99 Plus FREE Shipping! Keep the items on your car dash on the dash with this Anti-Slip pad! Get the Strong & Sticky Anti-Slip Dash Pad Only $3.99 Plus FREE Shipping! A breeze to use, just place them on a flat surface, add your stuff (anything from coins to phones) and the gravity defying surface will grab on and keep it safe. Great for cars, desks and around the house!